Are you wondering about the best Christmas gifts for children? Look no further than Megableu. Megableu is the place to start if you are looking for the perfect Christmas gifts. This is a list of our best-loved games and toys you can buy as Christmas presents. 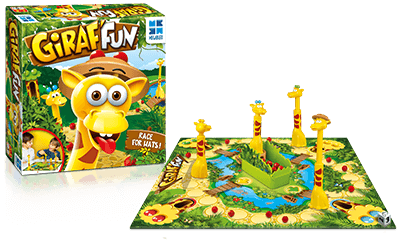 Giraf’fun is definitely one of the best Christmas present ideas! Choose your giraffe and run for your hat. Move around the board according to the dice and race the other players for fruit. The more you eat, the more your neck grows to help you can catch your hat. When you get your hat run back home. Be careful though. If you step on ‘potty’ your giraffe loses as many fruit as the dice indicates. For 1-4 players of at least 5 years of age. 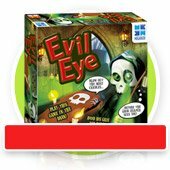 Looking for kids gift ideas? Spider-Man is here! 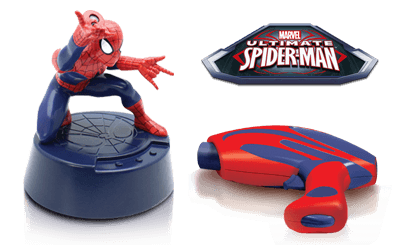 Spider-Man Rhino chase is another great option for kids Christmas gifts. After you choose one of the three levels of difficulty, Spider-Man starts projecting Rhinos from his base everywhere in the room. Get your laser gun and jump to the battle to make the evil Rhinos disappear! Score points on your gun every time you hit Rhino. Become a superhero, eliminate Rhino, and score better than your friends! You want more kids gift ideas? 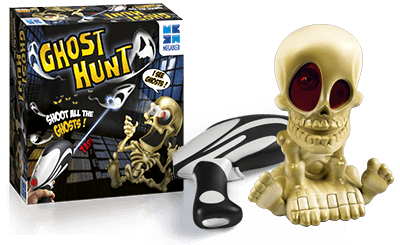 If you liked Spider-Man but you prefer a spooky atmosphere, then Ghost Hunt is just for you! Are you ready to play in the dark? Billy Bones projects ghosts on the walls and ceiling of your room. Your aim is to shoot the ghosts. Every time you hit a ghost, Billy Bones screams. Be fast and blast as many as you can to score points. The player with the most points wins the game and saves the day. For 1 or more players, suitable for kids older than 5 years, Spider-Man and Ghost Hunt are great Christmas ideas that will make children’s holidays fun and unforgettable.